The Phillies have released their 2016 Minor League Spring Training Schedule. The schedule includes their games as well as the games of the other Tampa Bay Area teams – Yankees (Tampa), Blue Jays (Dunedin), and Pirates (Bradenton). 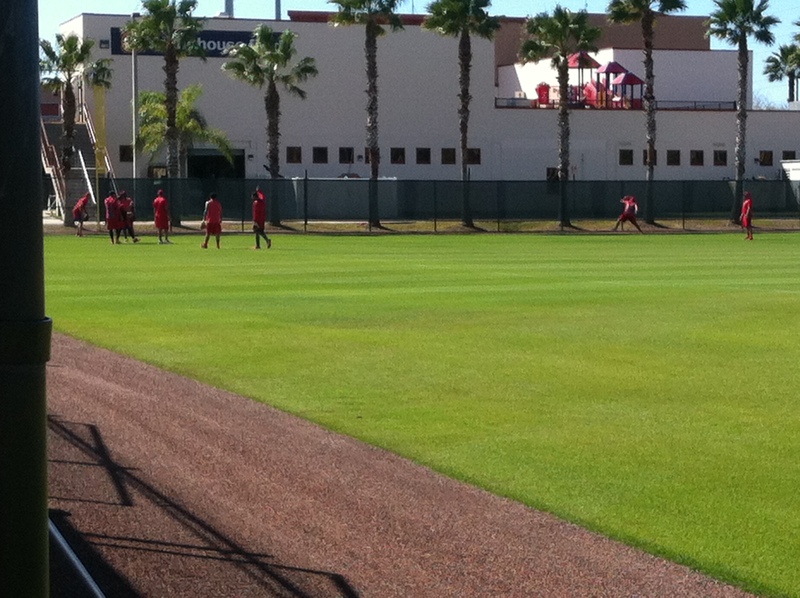 There were a lot of minor league players entering the Complex while I was there this morning. They aren’t required to be here until March 3rd. It is encouraging to see so many on hand early. When I left around 1:00PM. there were upwards of 40 players long tossing on Carlton Field. Earlier, the group pictured below were playing catch in left field on Ashburn Field. These guys are on the MLB spring training roster. I couldn’t make out who they are from so far away. First official practice tomorrow. WooHoo! 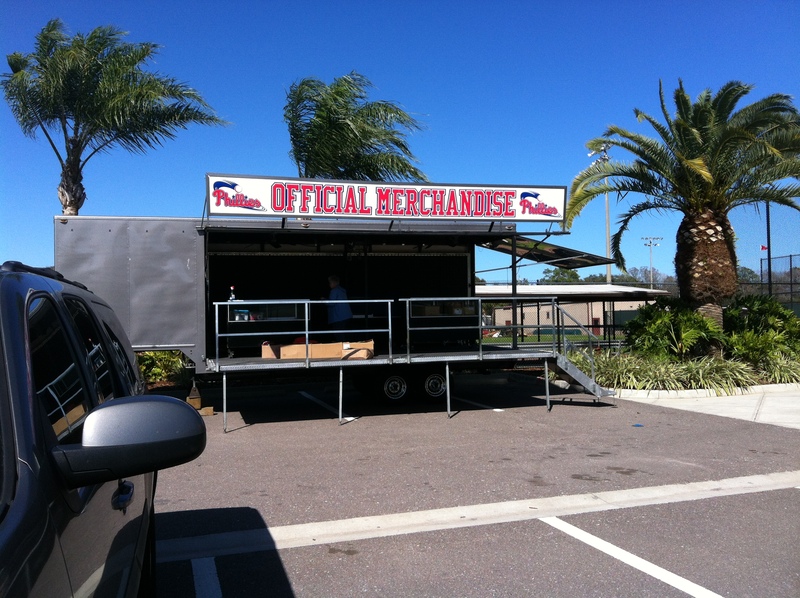 Another sign that spring training is upon us is the official merchandise kiosk outside the Complex. It was put in place last week when I took this picture. It is now open and fully stocked. It is operated by the Threshers’ stadium announcer, Don Guckian. Outstanding! Thanks!! The key question now will be when our top guys will get sent down. They usually go down soon after the minor league games start. Thanks Jim. Looks like I’ll only catch the very first day of games, but it’s better than none.